In the UK 40% of households have a pet of some form, according to the Pet Food Manufacturers’ Association (PFMA). Dogs remain our most popular choice with nine million kept as pets. Cats came in second with 7.5million stretched out on sofas across the country. After that rabbits, indoor birds and chickens round out the top five with guinea pigs, hamsters, tortoises, lizards and snakes also making the top 10. “Pets are good for you in so many ways; providing companionship, helping to reduce stress levels and instilling a sense of calm,” says Michael Bellingham, chief executive of PFMA. We get a lot from our pets, so what can we do in return? To celebrate National Pet Month here are five ways to make your home better for your furry friend (and make life easier for yourself too). 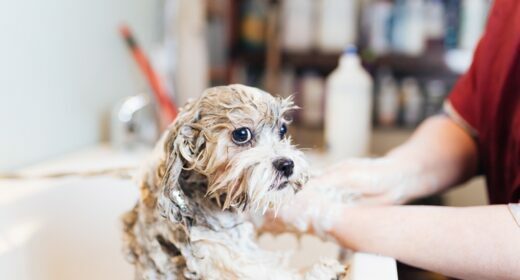 A growing number of dog owners are installing pet showers in their utility or laundry rooms. If you have a smaller dog then a large Belfast sink with a pull-out tap may be all you need. For larger animals you could consider removing a built in cupboard and installing a shower tray, or floor drain, with a low level shower head. Can’t quite stretch to a dog shower? Protect your home by putting a dog pack by your door. A tidy box containing towels, wipes and a water spray bottle can help you clean off Rover before they spread muck through your house. Both dogs and cats can wreak havoc on carpets. Whether it is a dog covering them in mud or a cat pulling loops, carpeting is generally best avoided in pet areas. A better option is tiles. They are durable, easy to clean pretty scratch proof and they provide a cool surface for your pet to lie on in hot weather. Wooden floors also work with modern or traditional homes and aren’t going out of fashion any time soon. Ok so this one is going to please you more than your pet – although a wealth of YouTube videos suggest cats rather enjoy riding them. 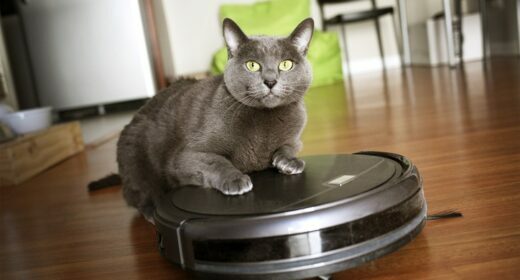 A robot hoover can help you keep on top of pet hair by constantly whizzing around keeping the fur balls at bay. These days robot vacuum cleaners can use built-in cameras and sensors to navigate your home without crashing into things. The top-of-the-range models even produce maps to show you where they’ve cleaned and for how long. Research has revealed that our pets can be a destructive bunch. The average annual repair bill for pet owners is £300, according to My Job Quote. The most common damage is broken furniture, ruined carpets and chewed wires. Minimise the damage by installing a pet gate to keep your pets confined to one area of your home when they aren’t supervised. Also make sure you have home insurance with accidental damage cover to protect you from costly bills after Fido has been on the rampage. As the weather warms and we all head into the garden make sure you aren’t planting anything that could harm your pet. For example, did you know lilies are poisonous for cats? If they ingest the pollen just from brushing their fur against it then cleaning themselves it could kill them. Potatoes and tomatoes have leaves that are poisonous to dogs and cats too. Instead consider planting catnip to please your cat and plants that provide shade for your pets. Dog owners may want to consider artificial grass so you don’t have the dreaded yellow lawn patches. Also, be very careful about the products you use in your garden. 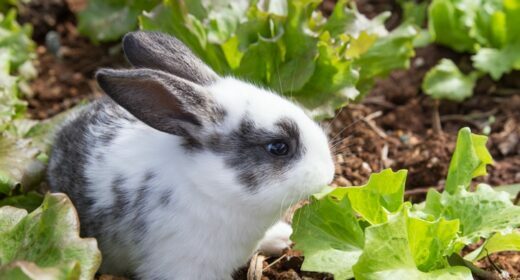 Slug pellets, weed killers and fertilisers can all be poisonous if your rabbit, guinea pig, cat or dog decides to snack on something that has been treated with them. 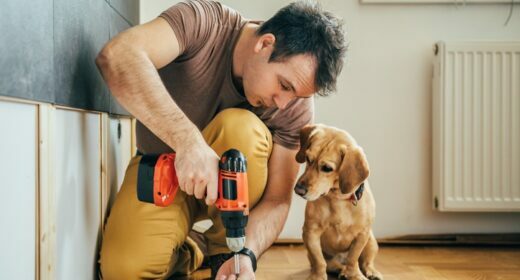 Let us know about your latest home improvement for your pet. Leave a comment below – we’d love to hear from you! Real vs artificial grass – which is best?